In professional sports, turnover is a function of time, as older athletes are supplanted by a youth movement, and the same eventually happens to them. This is how legends such as Michael Jordan, Derek Jeter, and Mario Lemieux are eventually relegated to video clips on YouTube. The same thing typically occurs in mixed martial arts, but recently in the UFC, that cycle seems to have stagnated. 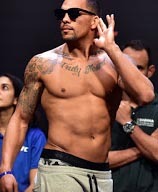 At UFC Fight Night 125, veteran competitor Lyoto Machida held off 30-year-old undefeated prospect Eryk Anders via decision. Although this wasn’t a huge loss for Anders, as he looked good at various times in the battle, it pushes him back down the middleweight ladder at a time when the division is sorely in need of new personalities to push. Looking at the top ten at 185 pounds, only current champion Robert Whittaker and contender Kelvin Gastelum are younger than 30 years of age. Everyone else in that group is at least 33. Younger fighters such as Brad Tavares and Krzysztof Jotko are attempting to make a push up the rankings, but struggle to break through to the upper echelon. 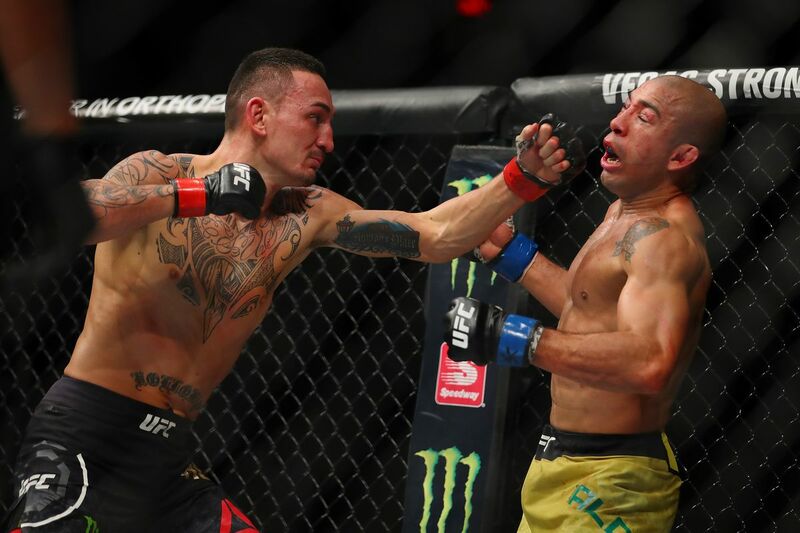 This lack of turnover at the top of the middleweight division curtails any excitement around younger fighters and makes it difficult to create intriguing new matchups. And the same can be said for light heavyweight and heavyweight, where the names that have long been near the top of the rankings remain, with little change in their seedings. This is why Alistair Overeem and Glover Teixeira are still top contenders despite falling to multiple champions and contenders in the past. Compare this to the lighter weight classes. TJ Dillashaw and Max Holloway have pushed their way to championship status by supplanting long term stars such as Dominick Cruz and Jose Aldo. The same goes for Cody Garbrandt and Brian Ortega, two top contenders that are young, talented, and up and coming at a time when some of the veteran competitors in their divisions are falling by the wayside. This “natural” turnover is what allows the creation of intriguing fights such as the impending lightweight fight between Tony Ferguson and Khabib Nurmagomedov. The first part is proper matchmaking for young prospects. As the UFC signs athletes with potential, they need to be brought along with matchmaking that allows them to develop over time, rather than being thrown to the wolves, like the fight between Valentina Shevchenko and Priscila Cachoeira. Shevchenko has nearly 20 years of competition under her belt (even though she’s only 29 years old) compared to the just two years since Cachoeira’s professional debut, and the battering Shevchenko delivered was a clear indication of the distance between their skills. 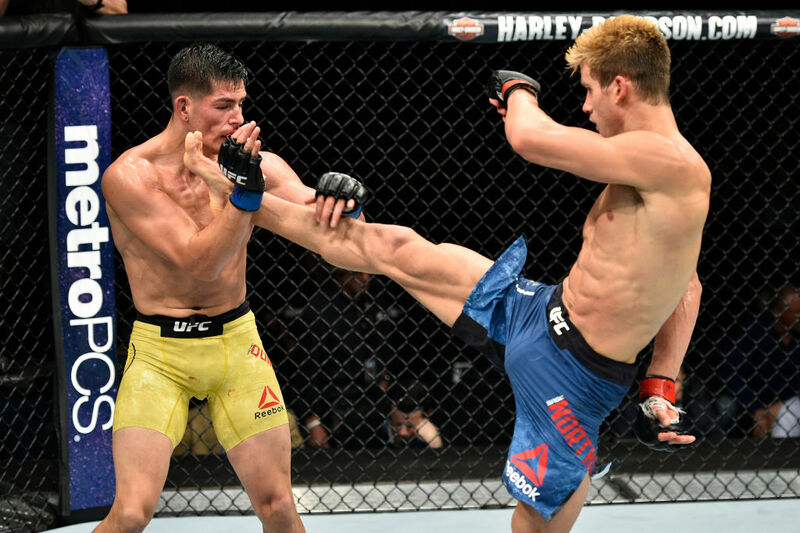 There’s no telling how far Cachoeira would have developed, but situations like what we saw on Saturday are the type that can drastically alter the career of a young fighter. This could have been avoided with careful matchmaking on the UFC’s part. Secondly, young prospects have a responsibility to put the hours in at the gyms that can help them develop properly. Take Sage Northcutt for example. At 21 years old, he still has a wealth of potential left before he reaches his competitive peak. He moved to Team Alpha Male for training, and his performance against Michel Quinones showed a lot of development. There are other prospects that could benefit from taking similar steps, but they hinder their own improvement by choosing not to do so. One of the issues that the UFC currently faces is an inability to develop young prospects capable of successfully moving up divisional rankings. Without this turnover at the top, fans will not see new faces for them to get excited about, and it will be hard to book compelling new fights that help to flesh out the title picture. This will be a story to watch in 2018 as the months continue to pass.